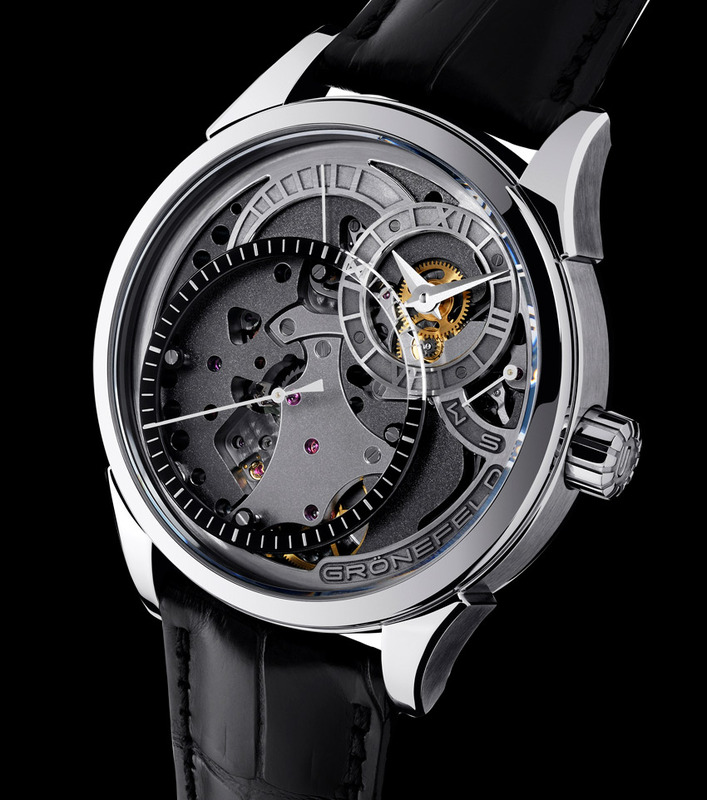 The talented Grönefeld brothers presented the One Hertz Techniek ("technical" in Dutch), a new version of the award winning One Hertz line - the world’s only series wristwatch with independent dead seconds - featuring a fascinating open-work dial that unveils the intricate upper mechanics of Grönefeld’s calibre G-02 proprietary hand wound movement. At the heart of the hour and minutes subdial at 2 o’clock, it is possible to see the hour wheel which brings some colour to the otherwise monochromatic dial.The independent dead seconds – where the second hand advances in full steps of one second instead of the more usually smooth sweeping action of mechanical seconds – play the star role in a large subdial at 7 o'clock. 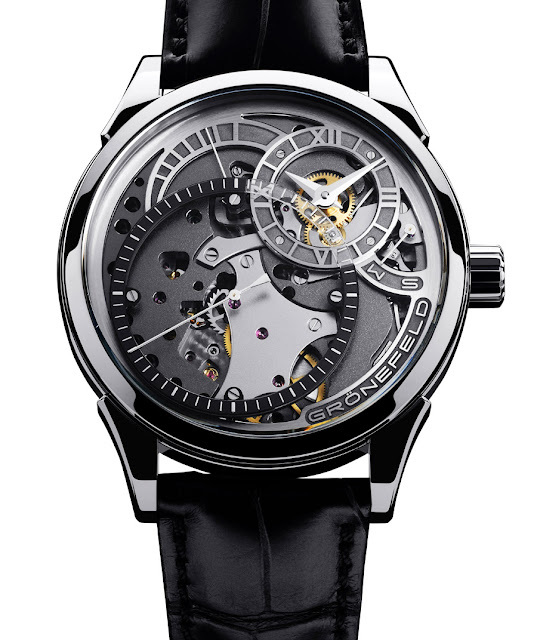 The open dial affords rich views of the large, stainless steel gear train bridge for the dead seconds mechanism, the dead seconds escape wheel and the centre wheel. At the top of seconds dial at 11 o’clock, the lever and spring of the power reserve indicator can also be seen. 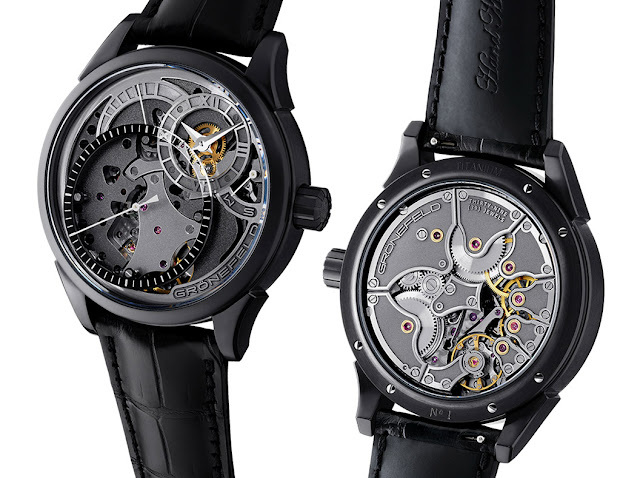 The dial is dominated by the large dead seconds chapter ring in sapphire while the other indications, bridges and Grönefeld logo are crafted in stainless steel, which is relief engraved, bevelled and finished completely by hand. 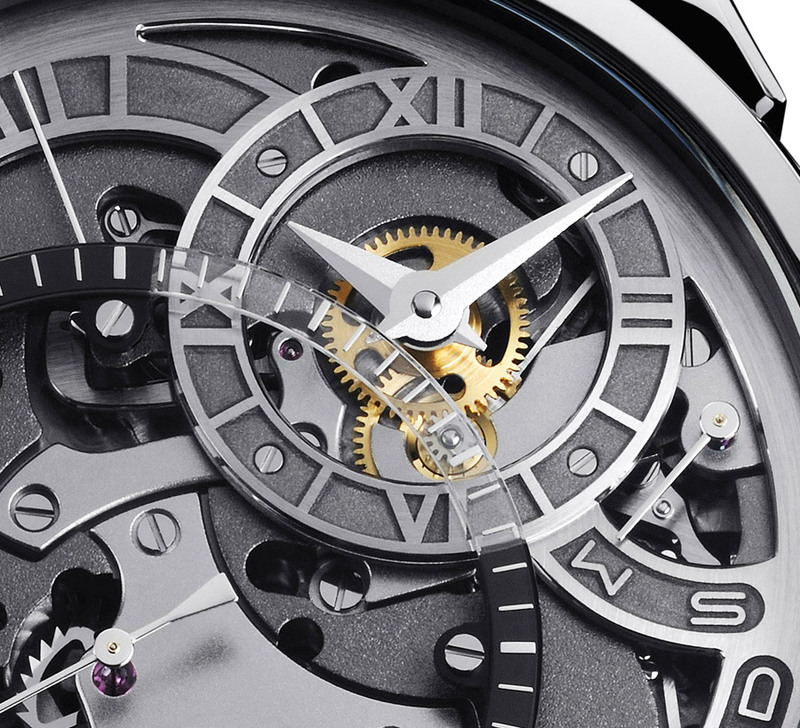 Winding and time setting are performed by pushing the crown in, rather than pulling it out.The open dial is framed by a high-tech Grade 5 titanium case with alternating polished and brushed surfaces. Case diameter is 43 mm. A black DLC version called One Hertz Techniek Nocturne, is also available.